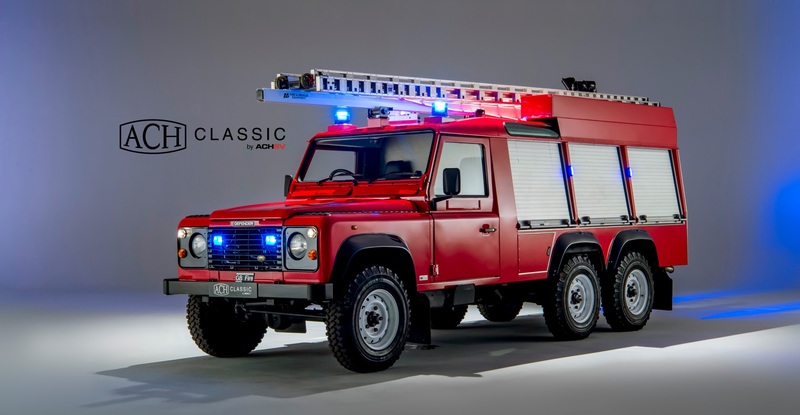 Built by Land Rover and put into service in 1998 this fabulous Fire Appliance served at the Jaguar Land Rover test track at Gaydon in Warwickshire until 2015. The vehicle then sat outside until 2017 when it was rescued by Land Rover Classic and offered for sale. Bought by our customer in December 2017, the Land Rover was then subject of a complete restoration, back to full operational capability. One main focus was create a finish that would make this Classic Land Rover stand out and after many hours of preparation, the result speaks for itself.